My Top Favorite Best Korg Digital Pianos for Sale! Top Korg Digital Pianos for Sale! Korg is a Japanese corporation that makes several electronic musical equipment including digital pianos. Korg pianos are among the best digital piano lines for beginners and advanced pianos players and they sound great and feel realistic. The 73 keys are carefully weighted, to simulate the feel of a grand piano, and the sound is very rich and dynamic. 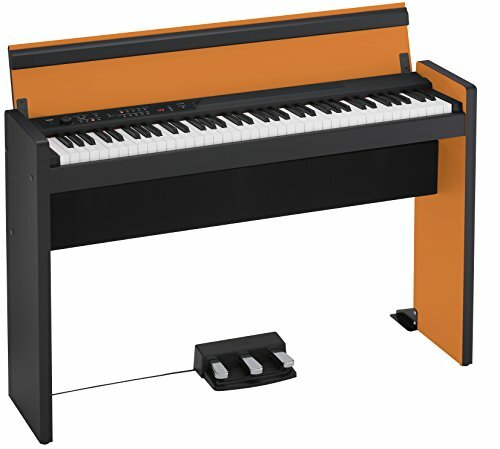 *This one in the picture is the Korg LP-380 in orange and black and it is obviously a great-looking digital piano! *Here is a great demonstration of the black Korg LP-380! Notice how rich and dynamic the sound is! Best Korg Digital Pianos to Buy! 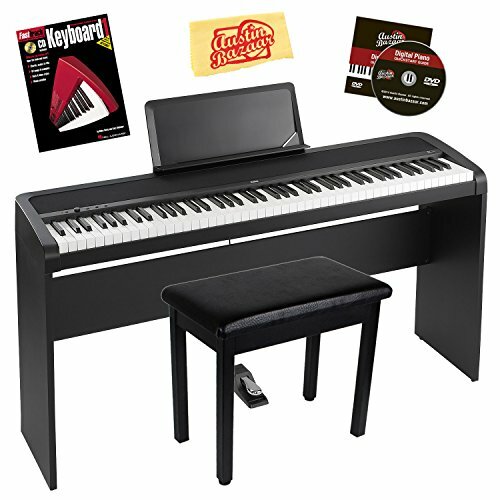 When buying your first digital piano, I usually always recommend getting a ‘bundle’, since they come with the piano bench, stand, sustain pedal and a piano book. The Korg pianos also look very nice too and will blend nicely in any room you decide to place it. The keyboard feels very authentic almost like a real grand piano, thanks to the natural weighted hammer action. 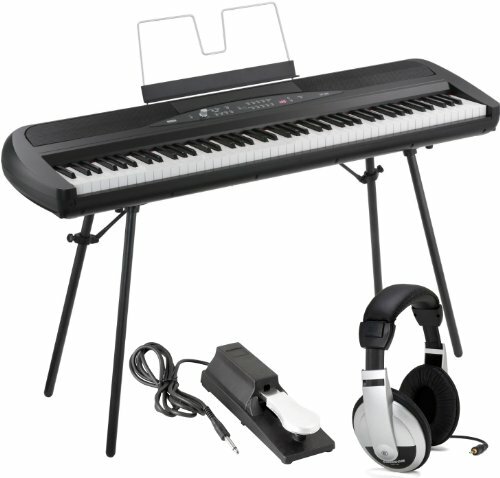 Great Korg Digital Piano for Teenagers! If you are looking for a portable and lightweight full-size digital piano to give your teen boy so he can ‘jam’ with his friends, then I would really recommend getting him this Korg SP-280 digital piano! This Korg piano has the best acoustic piano sounds, and it is one of the main reasons piano players buy one. You are also still getting the excellent weighted keys, one of Korg’s finest features! *Korg SP-280 Digital Piano – Great Acoustic and Electric Piano Performance Video! Here is one of the most affordable Korg digital pianos for sale! *I suggest you also buy the sustain pedal, and the padded keyboard bench to make your bundle complete! *Usually piano beginners will only need the ‘regular’ natural piano sound. Later on, when they become more experienced players they can use other sounds, of course, but I only use the piano sound when teaching. Overall it is an excellent Korg digital piano keyboard for the price! It is also very portable and lightweight! It is also a great choice for any piano beginner student and the only ‘cons’ about this Korg piano is that it doesn’t have a metronome, a recorder or USB port. Other than that it has great sounds, including electric piano sounds, organs, strings and harpsichord and it has the natural weighted hammer action as well. *Korg SP170S Digital Piano Review by a Piano Teacher! Korg B1SP 88-Key Digital Piano, in White! The price is not bag either! It is a gorgeous white digital piano! Guess what? 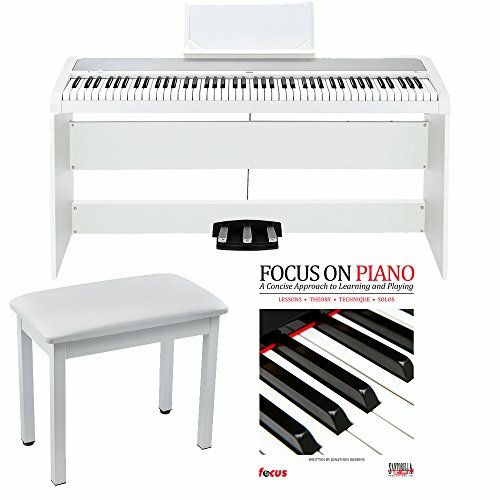 It also includes a beautiful matching white piano bench, piano pedals and a piano book! Here are more great options for beginners! Best Electronic Keyboards for Beginners!